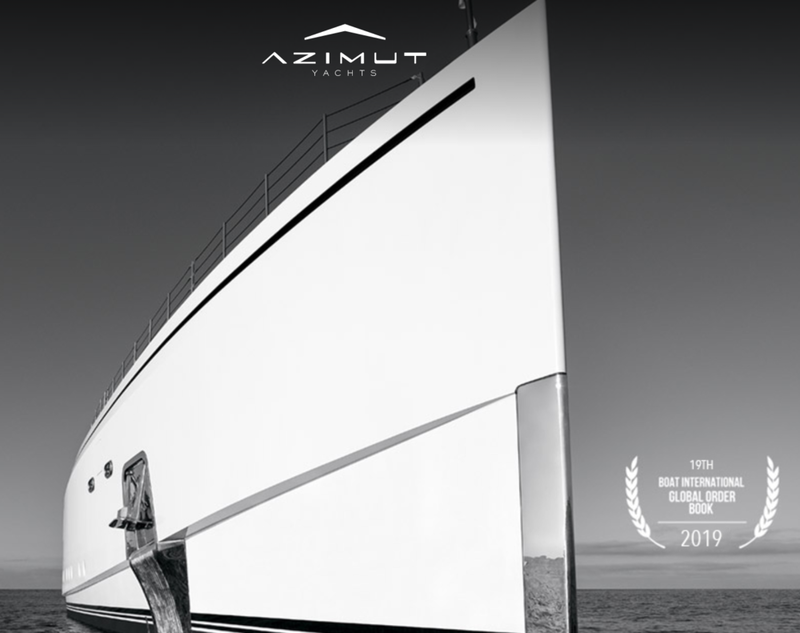 The Azimut Lifestyle Week 2018 has been extended to Wednesday 7th November! 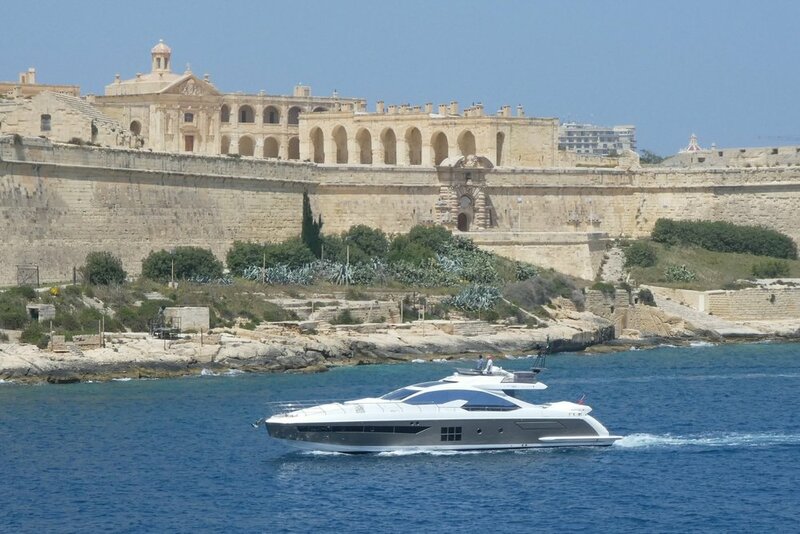 View the latest selection of Azimut Yachts on display at Marina di Valletta. Send us a private message or call us on 99442122 to book your viewing appointment or sea trial. Williams Jet Tenders has revealed it will be re-launching two of its iconic Turbojet models at this year’s Cannes Yachting Festival and for the first time at the show, Williams will also be showcasing its brand new high-performance Sportjet model – Sportjet 435. The leading jet tender specialist, who pride themselves on innovation and engineering, has re-developed the Turbojet 285 and Turbojet 325 ready for 2019. Since their inception in 2005, the Turbojet 285 and Turbojet 325 have remained extremely popular with customers and although much has evolved over the years, the changes have been subtle. A large focus in the re-development has been centred around the engine. Continuing to develop its successful relationship with BRP, Williams will fit the new Turbojets with the compact, yet powerful BRP Rotax ACE 903 engine. Delivering blistering performance and world-renowned reliability, the Turbojets will have the capability for watersports or blasting along the coastline to discover secluded sandy coves. 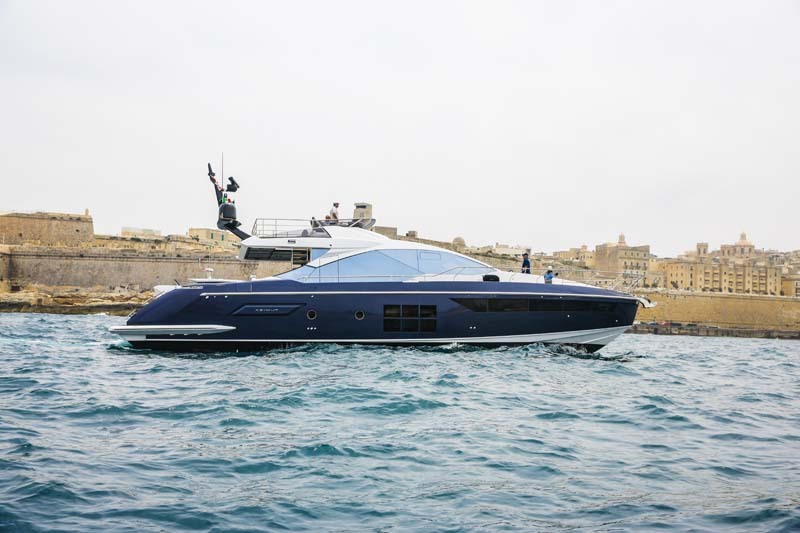 The redesign of the two new models has allowed Williams to modernise the design, with sharper and bolder lines throughout, better complementing the parent yachts the Turbojet is commonly fitted too. A new slash cut tube profile enhances not only the aesthetics but also improves handling. 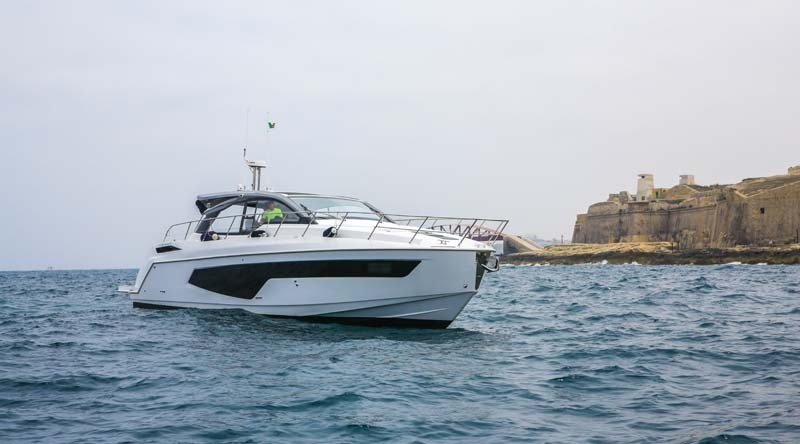 Other details include reducing the total weight of the tender and modernising the design of the upholstery to move all guests onboard the parent yacht in a comfortable, dry fashion. Commenting on the re-launch, Mathew Hornsby, Sales Director at Williams Jet Tenders, said: “The Turbojets quickly became the industry benchmark for the best in jet-propelled tenders and it’s important that they retain their status. “Non-stop product development and innovative engineering are crucial to our business and we always take on board our customers feedback. These enhancements have only reinforced the Turbojet as being the ultimate tender for versatility and fun. As well as displaying the new remodels, Williams will also showcase the world premiere of its new Sportjet 435, which launched in April. Measuring in at 4.35 meters, the Sportjet 435 delivers high-performance and speed, but in a bigger package. Designed to fit on yachts of 65ft+, it can seat up to seven people, providing a sociable layout that positions the helm at the centre of the boat, leaving a flexible seating arrangement to carry more passengers. 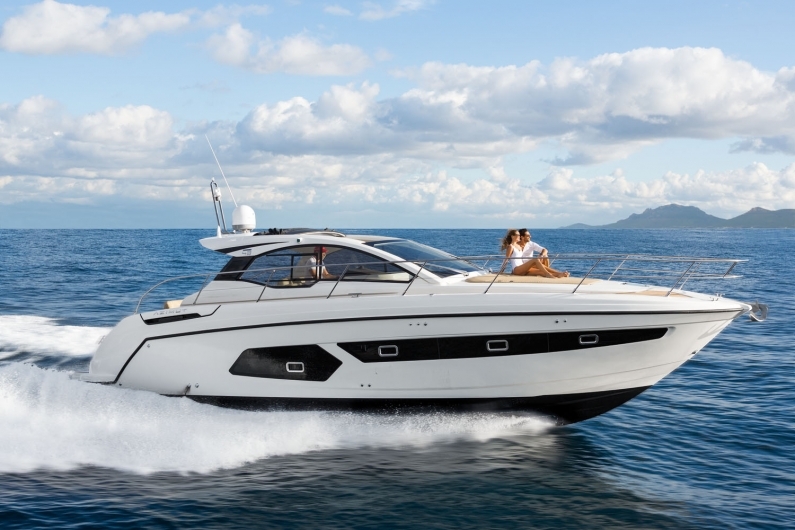 The new Turbojet 285, Turbojet 325 and Sportjet 435 will also be on display at Southampton Boat Show. 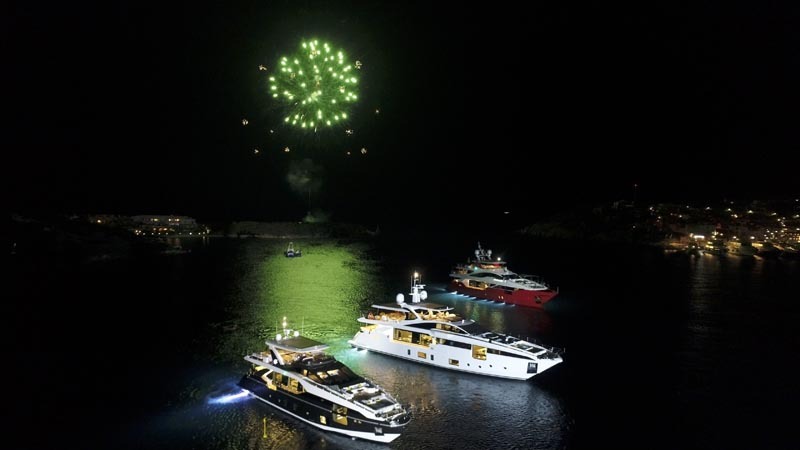 Not all boat builders and ship yards enjoy the economic position Azimut | Benetti do, and the Yachting Gala that goes from peak to peak over a period of a few days is a testimony to that. 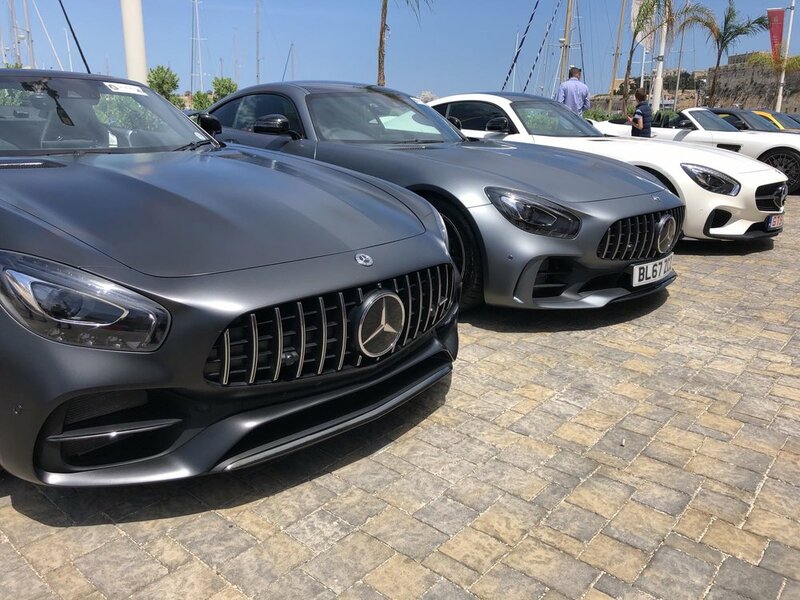 Last year’s was organised in Sardinia, or rather, to be specific in Porto Cervo. It was obvious just from the onset that Azimut | Benetti’s long lasting relationship with the Yacht Club Costa Smeralda that started decades ago was still vibrant. A relationship that started with the launch of the Destriero; under the club’s patronage and with the sponsorship of the Aga Khan that went on to cross the Atlantic in a record time. Those were the days when Italy had money, when the Italian lira was stronger than the Great Britian Pound. Italy had so much to be proud of. We all know what Italy went through since, and Azimut | Benetti was not just a survivor but indeed a family concern owned and run by a gentleman with the figure of a patriarch who still has futuristic visions. Certainly one of the companies that can proudly fly the ‘Made in Italy’ flag. We then walked around, in boat show style. We were able to board, in order, any of the boats we wished to view and of course we were greeted by an expert who could really well explain. It wasn’t done in a boat show style where you feel the person showing you around wanted to sell to you; it was really a matter of getting the visitor to enjoy the day. We could even pre book a sea trial on the boats that interested us. I didn’t have much difficulty because I opted to board the Magellano which I must say motored brilliantly along the Maddalena. Back ashore, we the visitors were all tranquil and happy to be enjoying the luxury offered by Azimut | Benetti. The second day peaked during the Gala Dinner. I won’t comment on what some wore, or didn’t; but I can tell you that I’m quite sure we all enjoyed the ambiance, the live music, the talented singers and the fireworks, but maybe; to the client or prospective client the best part was in Dott. Vitelli’s speech that echoed the company’s consistency, strength and motivation. 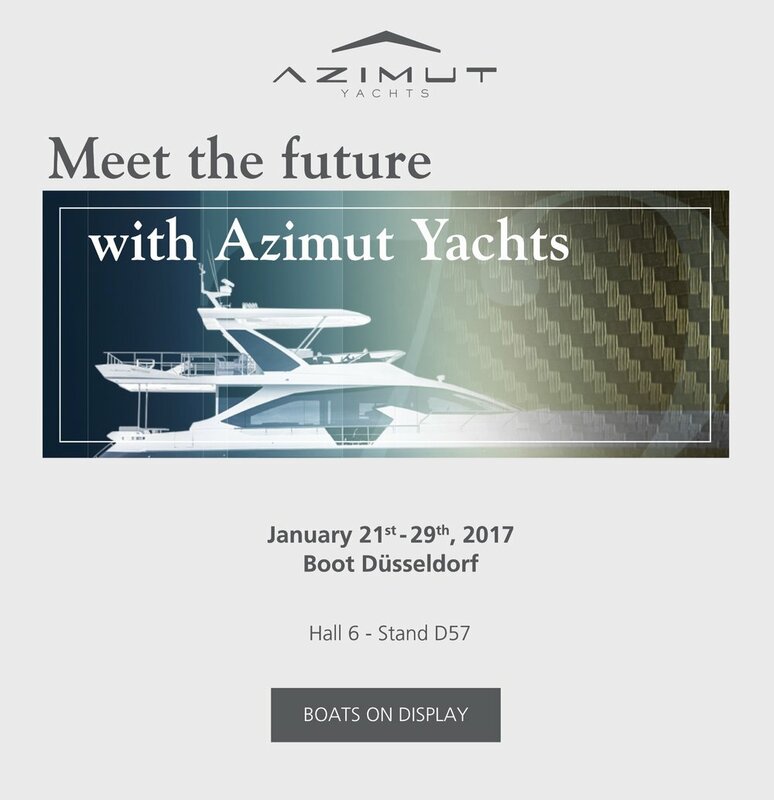 He wasn’t trying to sell, he was merely telling his story; one that can assure a client that Azimut | Benetti have a future to look forward to, with thanks to a strong past. 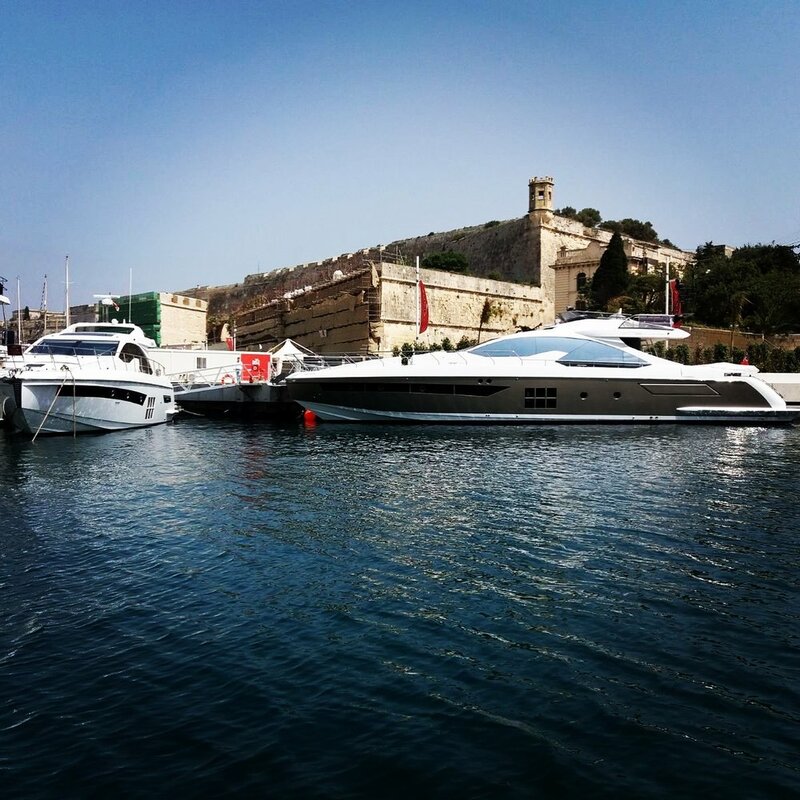 Previous Yachting Gala events were successfully organised in the best destinations; well, yachting generally takes you to these. It’s a lifestyle. Portofino, Cannes, Viareggio, Montecarlo, Rio, Capri, Porto Cervo and Monopoli, Puglia in 2018. I encourage those of you who are thinking of purchasing a boat to be present at the next Yachting Gala – it’s the perfect ambience to freely view and compare models in a private setting. It’s the time of year to appreciate the ‘made in Italy’ concept and to see, touch and try the latest from Azimut |Benetti. It’s easy and the first step is to contact Esprit Yachting. The most prestigious and final match of the Malta Polo Club’s playing season – the Cawnpore Cup, took place on the 9th June and for the second consecutive year the Esprit Yachting Team was out in full force supporting this charity event which is held in aid of the Malta Community Chest Fund Foundation. Some trivia about the Cawnpore Cup - The Cawnpore Cup is the most prestigious cup in the club and has been played since 1947. Only the best 8 players are entitled to play in this cup. This year, the Malta Polo Club is celebrating its 150th Anniversary, as it was founded in 1868, being the second oldest club in the world, and the first club in Europe. The Esprit Yachting team was in charge of a very special delivery in May. 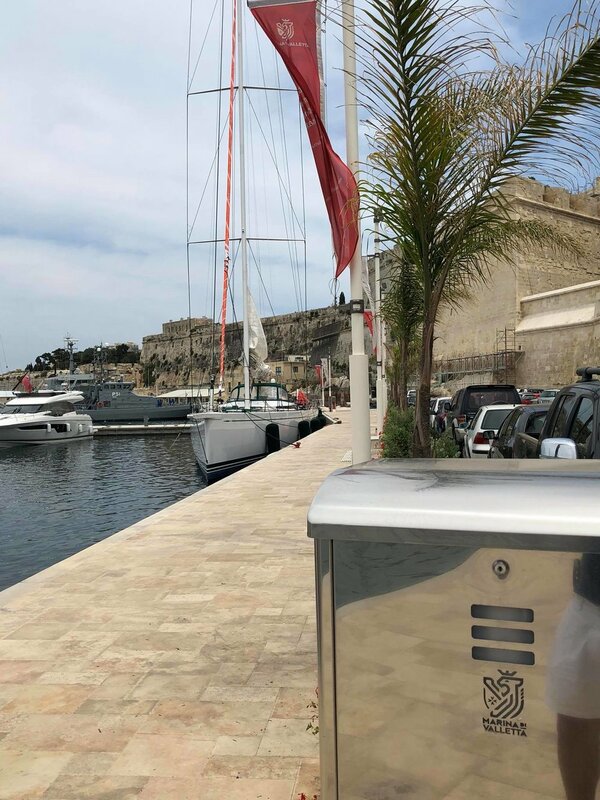 Four brand new Azimut Yachts - Azimut S7, Azimut 60 Flybridge, and two Azimut Atlantis 51, made their way from the Marina di Varazze to Marina di Valletta where they were delivered to their proud owners. Here's wishing their new owners a season full of great memories at sea amongst friends and family! We couldn't resist not sharing some photos of the boats upon their arrival in Malta! 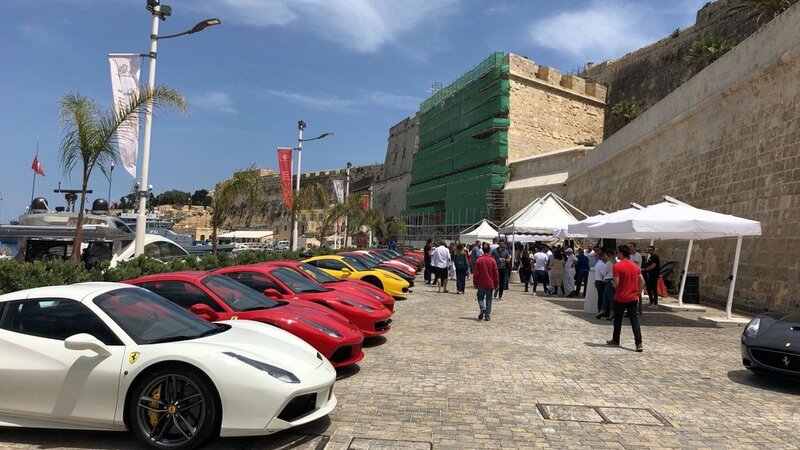 Marina di Valletta welcomed Cars Unlimited & Coffee which saw a static display of exotic cars hosted at the Marina. 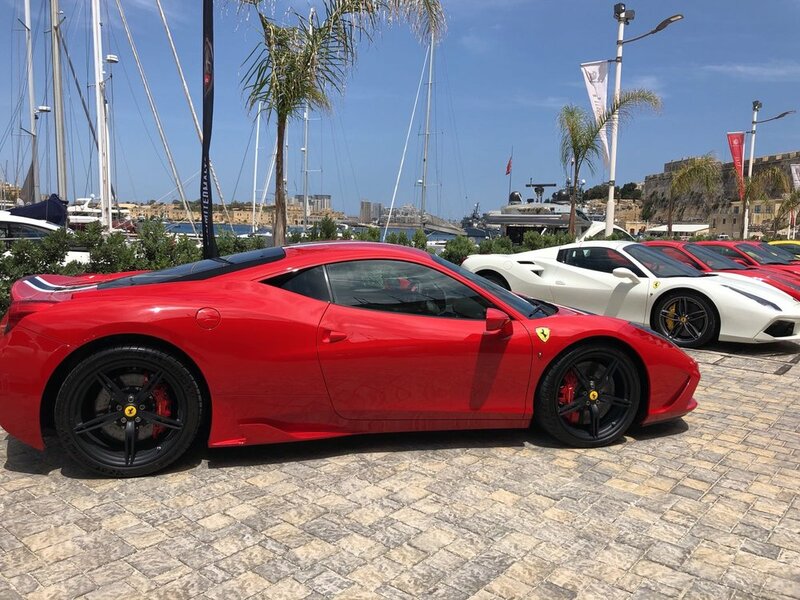 The display included a selection of Ferraris, Porsches, Lamborghinis and Bentleys which blended really well with the Marina surroundings. There is nothing else out there quite like the 77S....sheer beauty, combining luxury and power. 2016 has certainly been another busy, challenging yet fruitful year for our group of companies. We have seen growth in existing companies and also seen additions to our family. We’ve added Nautor’s Swan to our ever growing represented brands, structured our Yacht & Rib Charters segment as well as commenced the development of a brand new state of the art Marina which will be welcoming the first yachts in May 2017.